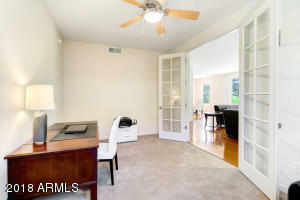 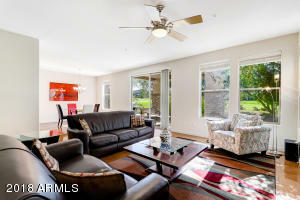 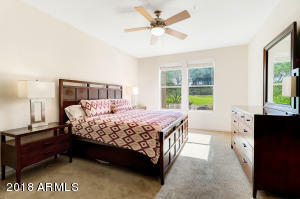 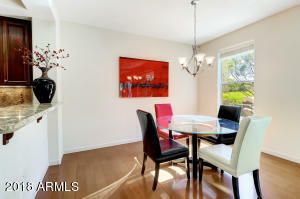 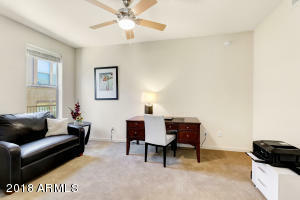 Light, bright & move in ready! 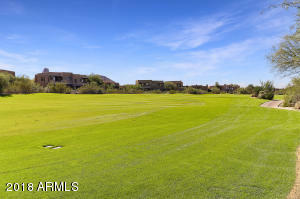 Located in the gated community of the Ridge at Troon North this 2 bed + den, 2 bath home backs to the 9th Fairway of Troon's Monument course. 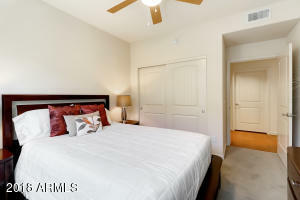 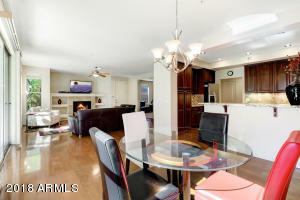 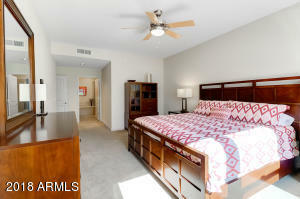 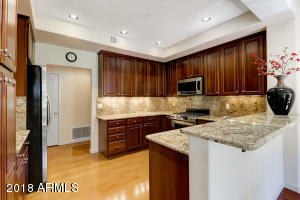 This ground level end unit has an open floor plan w/no interior or exterior steps & private side entry! 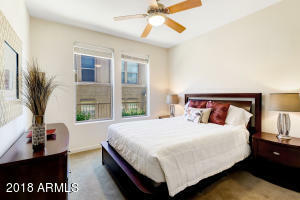 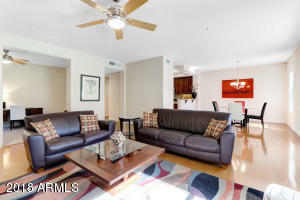 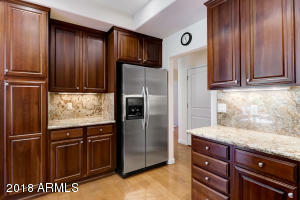 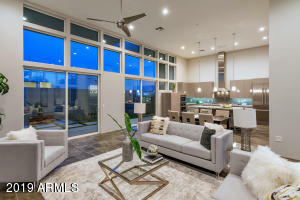 The meticulously kept unit has a designer kitchen w/cherry wood cabinetry, ample storage, s/s appliances w/gas stove, bar seating, & gorgeous granite counters. 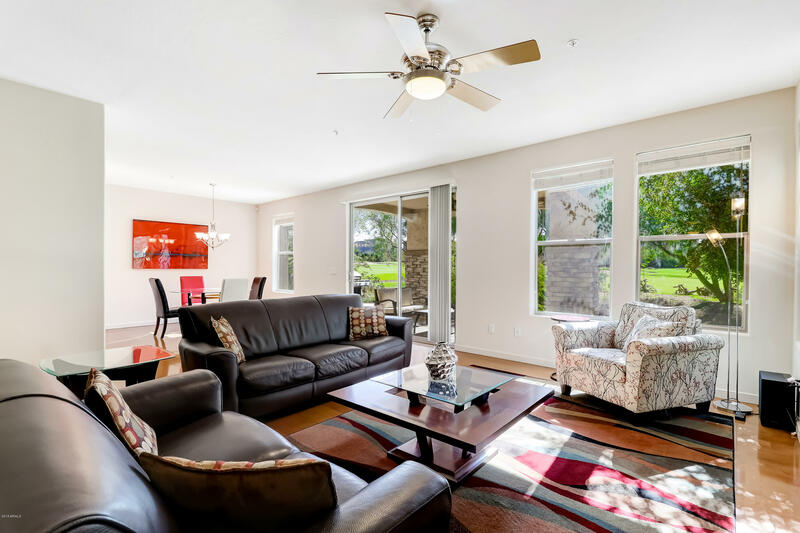 The living room has a cozy fireplace, hardwood floors, built in shelving, & opening to both den & dining room creating inviting gathering spaces. 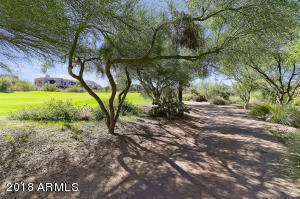 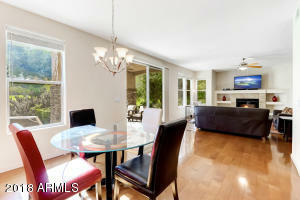 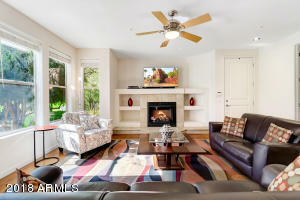 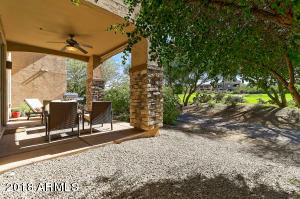 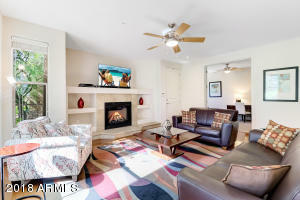 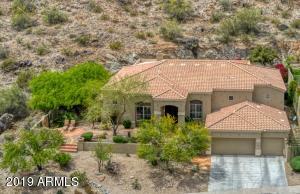 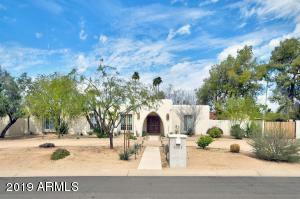 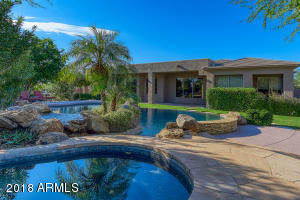 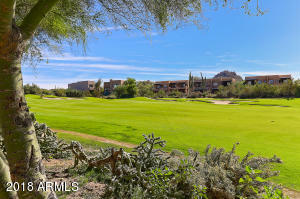 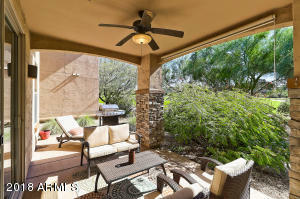 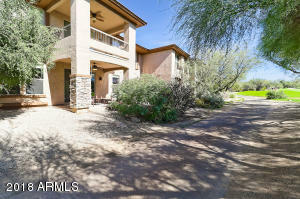 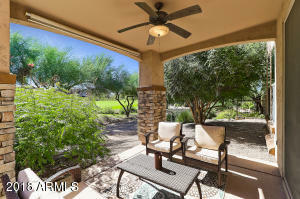 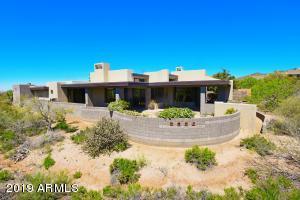 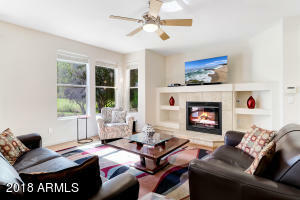 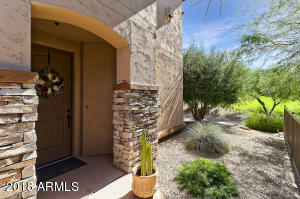 A South facing back patio has direct views of the golf course and Pinnacle Peak in the distance. 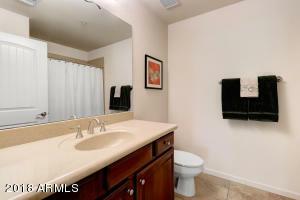 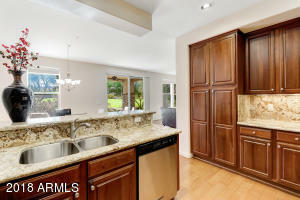 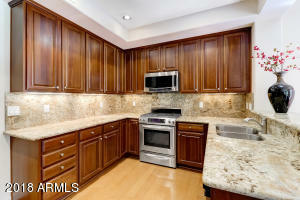 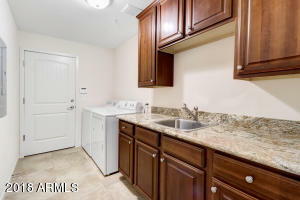 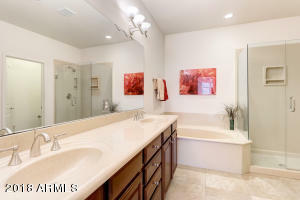 The 2 car side-by-side garage has direct entry into the laundry w/matching cabinetry & counters, sink, full size w/d.